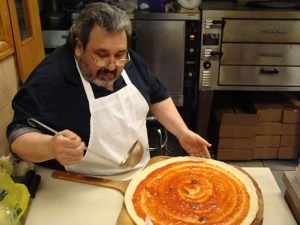 This section contains numerous reports about Italian culture and cuisine in Astoria, including many years of covering the Columbus Day parades in Astoria Queens. 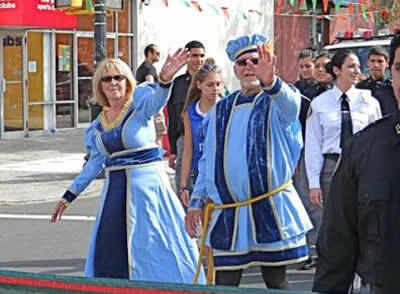 Click here to view our section dedicated to Italian culture & cuisine & Columbus Day Parades in Astoria Queens. October 10, 2017 / Astoria Neighborhood / Holidays in Queens / Columbus Day Parades Astoria Queens / Queens Buzz NYC. 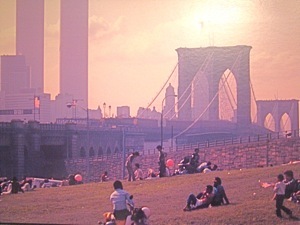 The photo above was taken in a prior year. 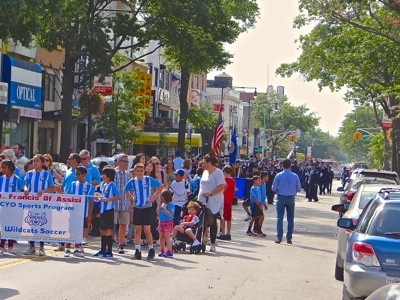 Click here to view reports of prior parades in Astoria including photos. October 8, 2012 / Astoria / Ethnic Culture in Queens / Astoria / Queens Buzz. I attended the Columbus Day Parade in Astoria this weekend to watch the pageantry celebrating our Italian American heritage. The parade began congregating at 11 am in front of Kaufman Astoria Studios off 34th Avenue. 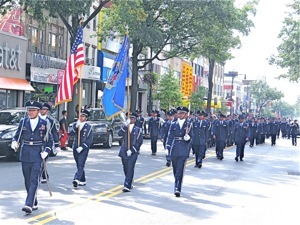 The parade began at 12 noon, marching north along Steinway Street, turning west along 30th Avenue and then north again at 33rd Street up to Columbus Triangle off Astoria Blvd [near the subway stop]. 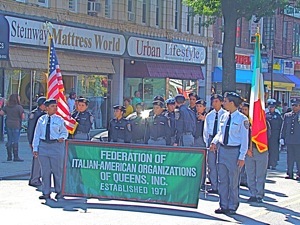 Click here for our 2011 report which includes Columbus Day Parade map, date & times - as well as a brief history of the Federation of Italian Americans Organization [FIAO] in Astoria, and of Columbus' discovery of America. At the 2012 Columbus Day Parade in Astoria, there were a number of government officials leading the parade including City Councilmember Peter Vallone Jr., NYS Senator Giannaris, and former City Council Speaker Peter Vallone Sr. Also marching were a number of people who were beginning their efforts to seek elective city offices in the 2013 election, when Peter Vallone Jr's third term expires. Click here to view our photo slide show of the Columbus Day Parade in Astoria 2012, including photo slide show of Steinway Street in Astoria then and now. Ditmars Astoria / Queens Buzz. I recently ventured into Rosario’s Italian food store, just underneath the NW subway terminal near Ditmars Blvd in Astoria. 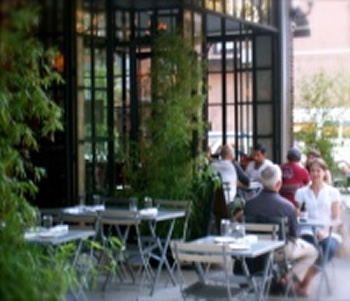 Rosario’s has a well-kept authentic Italian gourmet grocery store and delicatessen. 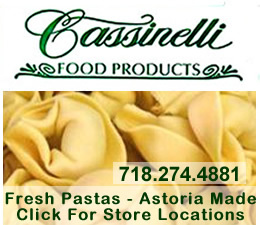 Click here to read the rest of the story about Rosario's Italian food store in Astoria Queens. 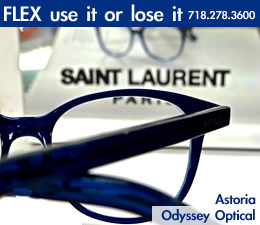 September 30, 2011 / Astoria Neighborhood / Art Galleries In Queens / Queens Buzz. Tony Vaccaro, Life Magazine photographer, has a photography exhibit covering the birth, the life and the death of the twin towers of the World Trade Center on display at the Buzzeo Building in Astoria. I went to the opening and this is what I heard. Tony got his start photographing the action of World War II as a young lad. His photos landed him a job at Life Magazine, providing him with opportunities to photograph famous people and places out of reach to most photographers. Tony photographed famous artists, such as Pablo Picasso and Jackson Pollack, as well as famous architects, such as Frank Lloyd Wright and La Corbusier. His interest and work photographing people, art and architecture lead him more deeply into that world. Click here to read the rest of our story about the exhibit and story as told by Tony Vaccaro through his photos of the twin towers of the World Trade Center covering the period from 1957 - 2001. 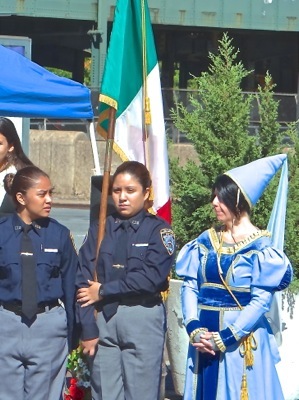 The Federation of Italian Americans Organization in Astoria organizes the Columbus Day parade that essentially winds its way from Kaufman Studios down along Steinway Street to Columbus Triangle which is at 31st Street and Astoria Blvd. 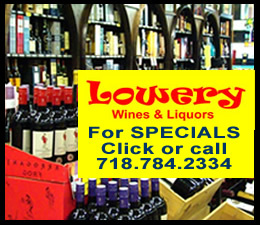 Section Updated January 2018 / October 12, 2016 / Astoria Neighborhood / Holidays in Queens / Queens Buzz. March 6, 2013 / Food in Queens / Astoria / Queens Buzz. 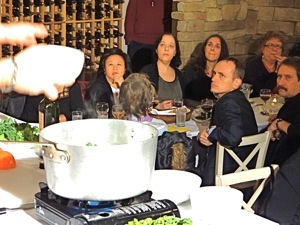 I attended a nutritious cooking class on February 27th featuring Rocco Sacramone, head Chef and Founder, of Trattoria L’incontro of Astoria; working in tandem with Effie Nerantzis, a Registered Dietician, from Mount Sinai Queens. The event was hosted by the United Community Civic Association at the Central Sushi Bar and Lounge in Astoria. 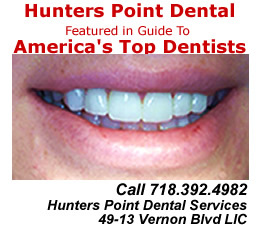 And the program was sponsored by Mount Sinai Queens as part of their community health education outreach efforts, some of which we've covered in the past [see Queens healthcare section]. This particular program was intended to demonstrate how to prepare great tasting foods that are healthy and admission was free. I knew going into this event that it had been fully booked. So I wasn’t surprised as I entered a banquet room, which was fully seated. 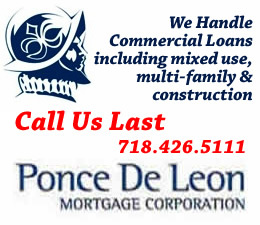 Rocco and Effie were conversing off stage; while Shelly Felder, Sr Director of Marketing & Communications at Mount Sinai Queens, conversed with Rose Marie Poveromo, President of the United Community Civic Association. The show was about to begin. Click here for our report, including recipes and slide show with photos of Chef Rocco Sacramone of Trattoria L’incontro preparing heart healthy foods.